Your sweet tooth basic training starts here. A few of these savory drills will prepare you for something even more tasty. For a mini adventure, explore these gratifying goodies, and boldy take your taste buds where they have not gone before. Resistence is futile. Made to satisfy the biggest cravings, these decadent doughnuts are lavished with premium toppings and fillings, leaving you feeling fancy. As newcomers to the donut world, we've learned the craft of perfecting the finest donuts from our father. We would like to bring you the sweet taste of our delectable donuts, promising passion and quality. 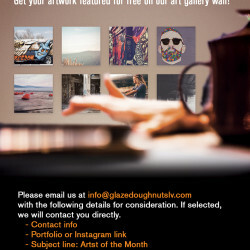 You haven't truly experienced great, classic donuts until you've tried Glaze Doughnut. We are located in the Southwest side of Las Vegas on S. Fort Apache and Sunset. HANDMADE DONUTS, NOT MACHINE MADE! WE LOVE TO EXPERIMENT WITH NEW FLAVORS. 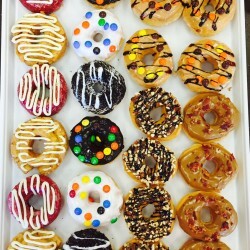 FRESH DONUTS ARE MADE THROUGHOUT THE DAY. WE STRIVE FOR THE SOFT, CHEWY AND FLUFFY DONUTS. 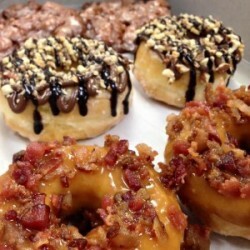 Two words: MAPLE BACON! Although it was very busy in the morning (Grand Opening), I’m glad I stopped by to try some of the selections. The donuts were very fluffy and moist—a melt-in-your-mouth kind of experience. Stopped by on the way to work and picked up a box of 20ish varied selections. The bacon doughnut was a hit. I went for the chocolate and classic. They were all super soft and quite satisfying. The box was gone by the end of the day. I was visiting from out of town (Los Angeles) and I was driving by to visit a friend that lives nearby and I saw that they had a group of people outside! I had to check it out – when there is usually a line outside the door, it’s considered a good sign! The votes are in, and we’re excited to share this SECOND win with all of our customers, family and friends. Your votes meant everything to us. 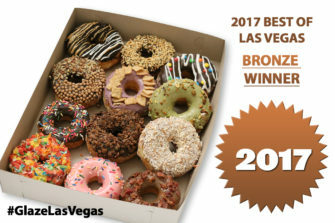 Two years straight win, and this means so much to the Glaze family to be listed in the TOP 3 in Best Donut category! Thank you again, Las Vegas! The votes are in, and we’re excited to share this award with you. We couldn’t have done this without our loyal customers, family and friends! 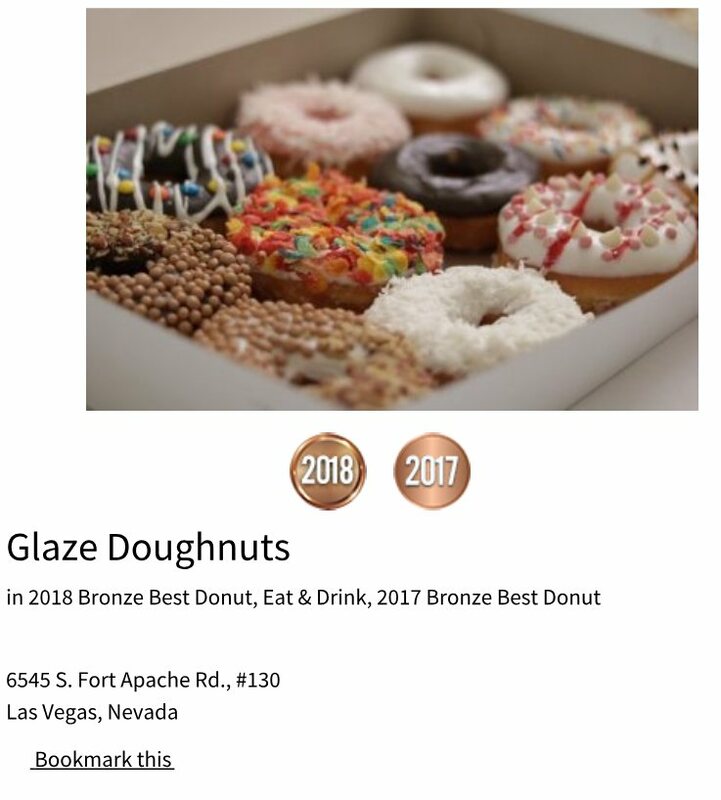 This means so much to the Glaze family to be listed in the TOP 3 in Best Donut category! Thank you again!